I want to start off by thanking you for making this amazing product come to life. 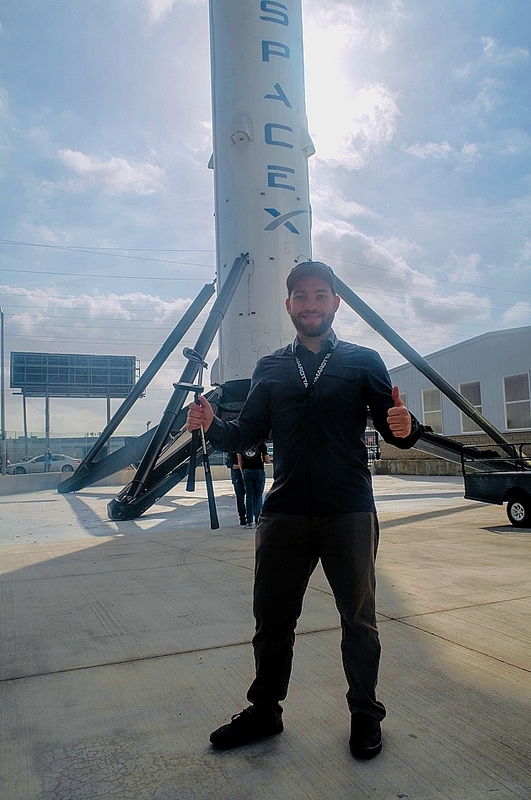 I'm an engineer working on components used by SpaceX and other commercial space companies. So I know a good piece of engineering when I see one. I love the game of golf and I typically play 75-100 rounds/year. My schedule is 3 weeks in California and 1 week in New Jersey. It has been challenging to keep up with my game. In June, I rented a house for a few weeks with a putting green in the back yard but I didn’t have a putter because traveling with my clubs was too much of a hassle and cost. I started thinking about how I would make my own collapsible putter for my roller bag. After a quick Google search I found your website and found not only a custom travel putter but also an adjustable all in one club! To be honest, I first thought it was way too good to be true (but thankfully I kept reading). After watching/reading a few customer reviews I was sold and couldn't stop smiling. That day I placed my order for the putter and Whole-In-One. By the way your ordering form, lead time, and shipping process was all terrific. Since receiving the club, I've played a few dozen rounds with it. It always get lots of attention on the course. For such a convenient and useful tool I can't believe I hadn't heard of it before. What impresses me most is how well it performs for such a compact system. The club weight, ball flight, control, and overall feel of the iron shots is so similar to my set of Ping irons back home. It met my hopes and exceeded my expectations. In fact, at times I think I've been even more consistent with this club since it is always the same length. This club would have been perfect for Alan Shephard's "experiment" when he hit a golf ball on the moon. Still a great idea for future space travel!